Not saying I did not train at all, just did not put so much meaning in it, as it used to be. Well, there is simple stats in Garmin connect – 2011-2014 my total training time was about 1000 hours a year, this is how much time you should spend training if you are racing elite or close to it. These days it is about 400 hours a year. 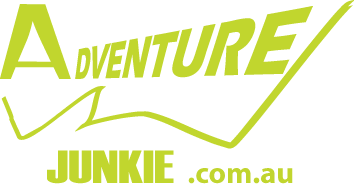 What is Lake Eildon Challenge? 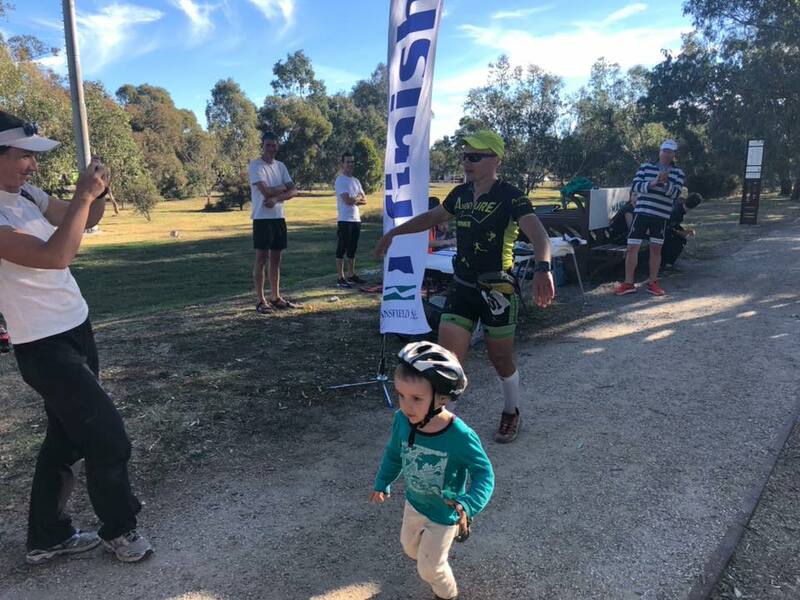 It is multisport event with 100k road ride with couple of very solid hills and total elevation gain topping 1500m; 25k paddle on lake Eildon, followed by 21.5k flat triathlon style run on gravel rail trail. Any appropriate level athlete or personal trainer will easily give you a program, and it will include something like above at least. I’ve done LEC before, so I knew what to expect. 3+ hours in the saddle, 2:30 in the kayak, and under 2 hours running. Hence I visited Shotz Sports nutrition office to top up our stock of gels, bar and electrolytes. No need to say, it was Fri before event on Sat. This was third thing I’ve done for the events specifically, the second was loading bike and gear in the car and registering Thu night. Long story short, we started ride at 7:30 in the morning, in Mansfield. No single person went to lead the ride, so I went (stupid mistake of cause, you should only do that if you are very confident road rider, and probably not a solo participant). Anyway, soon there were two other team riders to help me, and I dropped behind to let them lead. In about 7-8k in, another guy came past and challenged leading group, me and another rider accepted the challenge. I dropped after about 1k of riding, this was not sustainable pace for me, and soon a couple of other riders picked me up. We rode together to the start of the climb, other three riders picked us up on the downhill. We started first and the biggest climb, it is about 800m steady uphill. Two guys went ahead, and I thought I don’t want to get smashed on the ride (like last time I raced in 2015), so I’ll stay with the back group. We went steady, and at the end of the climb I went forward. Me and another solo competitor, Ray, dropped other two guys. Another 5 mins of climbing, and we are on the windy downhill. Ray appeared to be much better on the downhill, though I felt I rode down well, he passed me and disappeared soon. One of the other two guys at the back passed me if I was staying still, however my speed was 70kph at that moment. Well, I was not worried about him, Ray is more of a concern, but I thought I would easily gain 15-20 min on the run (haha). I had not seen a person for the final 40+km of the ride, my GPS lost signal and all entertainment was trying to remember, which road did we use as TA for 2014 X-Marathon to trek mount Torbreck. I think I’ve managed that bit well. Last 5k of the ride I slowed down on purpose to eat whole Shotz bar. This is important to eat solid food, and muesli bars are the easiest to consume. Total ride time was 3:28, 9 minutes slower than I’ve done in 2015. For those interested, I’ve eaten 3 Shotz gels and that Shotz bar on the final straight 5k to the TA. I’m trying to eat once in 40min at least. Transition was quick, I’ve jumped in the boat. Apparently, I’ve passed Ray in TA, and I was not aware of it. My arms felt weak for first hour, and I could not hang up on the Rob Cruze’s wash. He is stronger these days and also was fresh team racer just out of TA. Sad, but I kept going on my own. Passed one another team racer, chatted for a bit, but he could not hang on my wash either. Main entertainment on this paddle was looking at the map to check right direction. I nailed that and managed to get the quickest path. Could not say the same about my paddle time unfortunately, it was slower then 2015 effort by 9 min. Lake was flat and there were no fun runners to catch, only very occasionally the ones from passing motor boats. I made it to TA ok, consumed 3 Shotz gels on the paddle, including one caffeinated one. Not sure where and what went wrong, but it was something somewhere for sure. At about 9k mark I felt terrible, overheated and dehydrated. Well I should say I had my fluids with Shotz electrolytes up during the whole day, and they are the best I believe. I walked couple of hundred meters and kept crawling at terrifying 6:40 pace. Looking back, I should have done some flat run last two weeks, instead of bush-bashing Falls Creek surroundings. I had not, so I had to suffer final 12,5k. You will suffer those anyway, regardless how trained are you, but it is a big difference, to struggle at 6:40 pace or to struggle at 4:30 pace. Again, at 4:30 the struggle will be as long, but will finish quicker. Not my case! I managed to look well at the final 500m to the finish and run with my son, Alex, into the finish arch. Still first, Ray came in 2 min after me. He did not look fresh either, but managed to gain two minutes on me on the run. So yes, if you are keen on some event, and have got time to prepare right way, make sure you do similar terrain and the same bike/boat/gear. You may not have this opportunity, then toughen up and just go and do it, sometimes it pays off. I think it is very important to understand times and consider your nutrition appropriately. For 6+ hours event I really like to eat some solid food (bars typically go well), under 6 hours I would typically just have gels. Electrolytes are essential, I use Shotz, and they are great. On a hot day I would put 2 tabs in 750ml bike bottle, mild day 1,5 tabs and on the training day just 1. Also you need to train with the same nutrition, otherwise sweet tastes will take you by surprise during your race day. Thank Liam from Vigor and all the crew for keeping this event up and running, I’ve heard this was the final event, but I hope it is not true. I would not say I’m particularly excited about the course, it combines all things I do not do usually, and from my perspective it is quite boring. However, it is very solid challenge, and it is a big achievement just to finish it solo. It is also well aligned with Vigor training programs, and yes, bike ride is quite spectacular! Liam: "LEC will continue in the future in a different format for solo only participants"
23rd Mar – Kangaroobie Classic, Princetown. Suffer rating: ENTRY, skill: ENTRY. TBC in April – Adenturethon, Anglesea. Suffer rating: TOUGH.